We always strive to provide those who put their trust in our company with the utmost customer service and quality workmanship. Throughout the years, we have developed long-lasting relationships with our customers who have referred us to their own friends and family, and are proud to show their appreciation for exceptional service by going out of their way to write a rave review. Please take a moment to read our testimonials and see what sets us apart. SO HAPPY with the whole process while working with Laurie and Bill to scope and price the project! Listen to this, when Bill came over to do the estimate he went up on the roof and noticed where the problem area was right away, he pointed it out to me, came down and said, "I gotta put a patch on that for you, whether you go with us or not, I can't leave you with that problem and there is no charge". (I knew right then and there we would use Four Seasons but had to do my due diligence and get other quotes. Four Seasons was the best price and they use top of the line materials.) This is the type of mentality everyone at this company seems to have, they are meticulous from the tear down to the clean up! I even asked for a different chimney than the one they usually offer and it was NO PROBLEM. Antonio and his crew were GREAT! I think I might be a bit of a pest during the project but they didn't make me feel that way when I asked questions or asked to do something differently. AWESOME JOB and I HIGHLY RECOMMEND FOUR SEASONS for a GREAT ROOF!! I again can not believe how great this company is. 25 years ago we needed a flat roof repaired, not only did they come quickly but saved us some money on the cost. When roof was pulled off they noticed there was more existing roof than expected, and just did the work at the quoted price. When time came to replace roof, again the work was so fast and clean and not over charge. They did another part of the roof and again, saved us time and money. When our main roof had a small leak, they were the first people to call. Even though this was not their roof, they came quickly and did the needed repair. 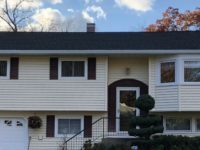 Our roof is 25 years old, and we were expecting that we needed a new roof, and the owner who came to do the work, told us that the roof is in good shape, Most companies would try to sell us on the new roof. They are more than honest, do great quality work and the only people I would recommend to do the work. I would like to say, I'm just getting around to writing this, but wanted to share my outstanding experience with Four Seasons Roofing and specifically, Mr. Oscar Toro, who was phenomenal! The crew arrived on time and worked diligently, under the supervision of Mr.Toro, to give me a beautiful roof! I can't say enough about Oscar, who was professional, patient, and wonderful to work with. He was the best!...He had a calming and reassuring manner, which helped me through my project...He addressed all my questions and concerns and proved to be a true man of his Word...His experience and guidance gave me the confidence to move forward with my project and I will never be able to thank him enough for the outcome of my beautiful roof! I am very happy I went with Four Seasons Roofing and will absolutely recommend this Company AND OSCAR every opportunity I get! Thank you...Thank you...Thank you! I highly recommended Four Seasons Roofing. We had a skylight that was starting to leak by ceiling. Oscar was over for estimate & he was both very professional and honest in his assessment which is very rare today with repair services. He looked at skylight & found it was a popped nail causing the problem. He sealed not only the one area but the whole skylight at NO charge - very, very rare today. The office staff is courteous and accommodated my appt. with no problem. If I ever run into any roofing problems I def know who to call. Thank you. I am very pleased with the roofing job that was done, it looks great. The crew showed up on time as promised, the forman and his men were very polite and courteous. They began work immediately and had the job done in 8 hrs. When I had a concerns or question they took them seriously and addressed them to my satisfaction without any rebuttal or argument. The price was the best I got when comparied to what was offered for the same roof by other companies. These men were professional in every way, and I would definitely recommend them to anyone. Want to say thank you to Oscar who came to inspect a leak I had above my bathroom window. He was extremely professional and must say he was so pleasant to deal with! The woman in the office that took my call was very nice too. I would highly recommend Four Seasons of Farmingdale and would not hesitate to call them in the future. Going back almost 23 years, this company has been nothing but fantastic. I purchased a handyman special house, that had a flat roof that leaked. The came within hours of calling to check out the work, set up a quick date to fix. Gave me a price, and even though the work was more than they expected, did not charge any extra. They went over and beyond what we expected, and gave us a 20 year warranty. Again when called to check another roof, they gave us the priority treatment, and for both roofs, when needed repair was needed, came quickly and repaired the problem. They are professional and courteous. . and outstanding people. Not that I need to have my main roof done, but, Four seasons is who I would call and I have told everyone I know when they need to redo their roof, to call them. I like to thank your company and especially your crews for new Camelot roof last spring the roof looks great and no problem with all new add on that’s Finely done. I highly recommend Four seasons. Four Seasons did my roof and siding. The entire process was unbelievable. Donna, Oscar, Antonio and Caesar are the best. My phone calls were immediately returned. Antonio and his crew arrived early and finished my roof in one day. The cleanup was impressive. Caesar and his crew often stayed till after 6:30 to complete the job they were working on. Oscar was there for me when ever I had a question. Donna returned my calls the same day. My house is beautiful! I could not be happier. I would recommend Four Seasons anytime. Four seasons did a excellent job on my roof! They showed up on time, did the job exactly how they said they would and for the price we agreed on. Great people at the office and on the job site. Extremely happy with the job that was done on our roof. It was done in a timely fashion. Everything was cleaned up, and the crew was very friendly. Well worth the cost, and would highly recommend! Let me start out by saying Thank You to Oscar ! What a great overall experience, and a very pleasant company. From my conversation with the woman in their office who answered the phone, (I'm sorry I forgot her name) sooooo pleasant and accommodating . Within in an hour and a half Oscar arrived to inspect my roof issue. Had a whole new roof put on my Moms house. The job was done in one day, by a crew who was very professional and respectful. When the job was done everything was cleaned up to the last nail. Thank you Four Seasons and Thank You Bill T.
Four Seasons Roofing is the most professional and expert roofing company I have ever used. I live in my home more than 50 yrs. so I have had more than one roof done. I just recommended them today to a friend of mine. One indication of their service is the fact that the owner, Bill, was sweeping my kitchen floor before he left. The skylight is perfect and my house has increased in value due to their expertise. I recently had my roof replaced and a new gutter system installed by Four Seasons Roofing and am extremely happy with the results. Bill Taylor was very personable and thorough in explaining the entire process including materials used and outlining each step including the importance of good attic ventilation and installation of fans, and I also opted for a new gutter and leaf-guard system which is maintenance-free. Bill stressed how his company does only high-quality work and will not cut corners. I had requested the job be done within the next couple weeks but really lucked out when two full crews were able to come within a few days as there was a rain delay change in their schedule. The entire job was completed in one day and the workers were extremely efficient, very friendly, and protected my yard and left the whole place in perfect condition (including carefully protecting a bird house with nesting baby birds in it located close to the house so they weren't disturbed!). There have been two stormy downpours since then and absolutely no problems with the roof or gutters. I highly recommend Four Seasons Roofing for a top-notch job! I want to say Thank you to the entire staff at Four Seasons, from the professionalism of Bill Taylor, to the patient and wonderful Donna in the office for all my calls to set up appointment in a short window of time (which she did) to the promptness of Antonio, the installer. But most of all I am so grateful to Bill that he found the problem withe my roof within the first fifteen minutes and showing me the issue. My roof is 15 years old and there was just one area with any annoying leak off and on for quite a while (which was supposedly fixed by others, who came back recently and stated we needed a new roof. That was not the case with Four Seasons! He actually told me I didnt need one and with the repair could guarantee another ten years! WHO DOES THAT! Well Four Seasons you know Ill be seeing you then. Thank you again so much! Dear Four Seasons, Oscar, and Donna, We wanted to thank you and let you know we are extremely satisfied with our recent experience with Four Seasons Roofing. The crew was conscientious, neat, and respectful. Donna and Oscar were very professional and courteous. They listenened and responded promptly to any requests or questions we had. The new roof looks great! Thank you. We recently had a full roof replacement and I must admit that the whole 4 Seasons team from ownership through their professional installers were excellent. There was never a time that I felt that I wasn't their priority in providing quality service and workmanship. Our 95 year old home presented some unique challenges and the whole 4 Seasons team were meticulous in preserving the look and feel of our style of home. We still are getting complements from friends and neighbors about our new roof. I certainly would recommend 4 Seasons for the services that they provide. Professionalism, quality of workmanship, integrity and accountability.........these are all qualities of a successful company. Thank you 4 Seasons for being such a company! 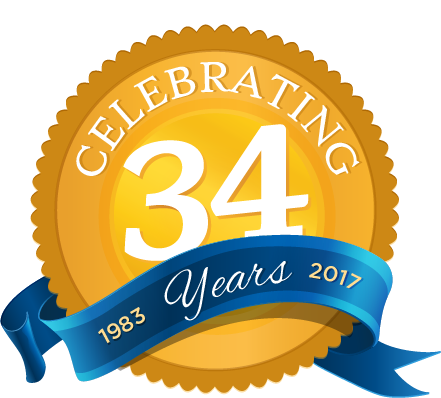 I have had two great experiences with Four Seasons Roofing. After moving into my first home in January 2014, my homeowners' insurance provider threaten to cancel my policy, due to loose shingles around skylights. Roof was covered with snow all winter. In March 2014, after the snow melTed, Four Seasons performed a speedy, precise repair. Their customer service, craftsmanship, and professionalism were second to none. In October 2015, Oscar helped me by identifying, troubleshooting, and repairing a roof problem that was causing a leak indoors. His service was quick and he explained the problem to me fully. I appreciate the work Four Seasons, and especially Oscar, performed for me. The house is 145 years old so the original sub-roofing of cedar shakes had to be removed and replaced with a new plywood base. This is a messy job. Oscar, Antonio and their crew arrived at 7:00 and by 11:00 the shakes, plus 2 layers of asphalt shingles, had been removed and the new wood base was starting to go up. The new GAF certified roof on the main part of the house was completed later in the day and the whole job, including a thorough, meticulous clean-up was finished by the next afternoon. Could not be happier with the new roof and the skill and professionalism of Four Seasons Roofing. Our daughter and son-in-law recommended Four Seasons Roofing He works for a solar installation company and customers they were serving had mentioned to them about how timely and professional this company was. Our roof was in pretty sad condition, over 30 yrs old. Four Seasons gave us a good estimate, were very upfront about any extra costs that might be incurred regarding the plywood replacement and did a fabulous job. Installation in one day and cleanup was spectacular. No leftover debris on the property at all. Everything spot on. My husband and I would recommend Four Seasons Roofing as a number one choice for anyone considering having their roof replaced. A great company with friendly and professional people. I contacted Four Seasons Roofing and requested an inspection to determine the cause of the water leak in my kitchen ceiling. Bill Taylor came to my home and immediately determined the problem was with the design of the existing roof air-circulation vents (they allowed fine snow to enter through the screening). He ordered new model vents and arranged to have the work done the next day. The gentlemen who came to my home to install the new vents were courteous and professional. They answered any questions I had without hesitation. Before they left my home they picked up all debris and carried it away. I would definitely recommend Four Season Roofing without hesitation. Dear Four Seasons & Oscar: Just a special thank you for the lovely work you did in our home this Spring. The windows and trim are perfect-we are enjoying both and so far no leaks! Oscar and Four Seasons are a pleasure to work with and at the top of my list of companies to recommend. Oscar definably ‘listens”, is easy to communicate with, and is a lovely person. Thanks again! I am extremely happy with my recent experience with Four Seasons Roofing. I only engaged GAF certified elite roofers, and Four Seasons provided the best price, but price wasn't the only determining factor. From the outset, Four Seasons differentiated themselves from the competition with their professionalism. The project manager Oscar was respectful and provided a detailed proposal in writing. The men arrived promptly on the day the job was to be done. I had several roofing companies come out to give me an estimate for my roof. I asked each company to check the root of the problem to determine if I needed a full roof replacement, or if I would be able to repair the area where my leak was. Most of the other companies disregarded my request. Bill Taylor with Four Seasons Roofing however, was professional, courteous, and did a thorough inspection of what needed to be done to fix my leak. It was evident that he valued my business and took an interest in my requests as a customer. The job was done quickly within a few hours. Four Seasons Roofing was very professional throughout every step of the process. They didn't pressure us to get the job done, which made us feel really comfortable in deciding when to actually start the job and when we were ready, we knew we wanted to get them to do it. They scheduled an appointment within a week and came to do the job promptly (in just a few hours!) and with no problems. The roof looks great, and we are so happy that we chose them! I just wanted to thank you for the positive experience I had with the services of Four Seasons Roofing. Bill Taylor was very thorough in evaluating the problem, explaining the services needed and the costs, helping to schedule a prompt installation date and stopping by the day of the roof installation to make sure everything was going smoothly. Your servicemen were courteous and did a fabulous job not only in installing the new roof, but with a thorough clean up after they were finished. I have recommended your company to several co-workers who were looking for roofing services. I am confident they will not be disappointed should they choose your company. Thank you again for a most positive experience. I would just like to say that my wife and I were totally satisfied with the installation of our new roof. Oscar was extremely helpful and more than willing to assist with any request or questions we had. We would definitely recommend your services. Bill Taylor provided me an accurate overview and update prior to job being done. Your roofing foreman was professional, and answered any questions I had about the ongoing job with coordination on the gutter installation. The roofing crew was hard working, efficient, and careful about the rest of my property. The cleanup of my old roofing left my lawn and surrounding property in excellent condition. I am well satisfied with the whole sales and installation process and would give your company positive recommendations. Thank you. Our thanks to you and your entire crew at Four Seasons Roofing, for the excellent work performed on our behalf, and in completing our new flat roof installation. Your prompt, efficient, and clean operation was sincerely appreciated. Many, many thanks for the outstanding job you did on my roof! I was very apprehensive because of the many 'roof leaking' stories I had heard. Now, my roof looks great, and I am very pleased with the results. I appreciated your promptness, and your professionalism, and you made me very happy. It is nice to know there are still contractors with your kind of work ethics! We just wanted to let you know that we were very happy with our roofing experience. We had a good feeling about Four Seasons from the minute we met Bill Taylor. All of our questions and phone calls were answered promptly. Everyone was very professional, courteous and helpful from the office to the installers. The installers were on time and did an outstanding job cleaning up. The new roof looks great. Thanks. I knew when we first met the owner of Four Seasons Roofing that we were going to be getting a great roof on our building, and we were right! Your crew was very polite, and neat, and the clean-up was top shelf. We would definitely recommend you for the superb work you did! We want to thank Four Seasons Roofing for the superb job you did for us. Both the roof and related fascia work far exceeded our expectations. I want you to know that your crew members were extremely conscientious and meticulous. We appreciated how cleanly they worked, and they treated our home as if it were their own. I want to let you know how very pleased I was with the roof you installed on my home. Your crew was very professional and accommodating, and after the job was complete, there was not one scrap or debris on my lawn. I would highly recommend your company to anyone! Please click on the icon to log in to your Google account and write a review on our Google+ page. Please click on the icon to log in to your Yahoo account and write a review on our Yahoo Local listing. Please click on the icon to log in to your Yelp account and write a review on our Yelp listing. For our customers that have a GAF Residential Roofing System installed by Four Seasons Roofing, GAF encourages them to take a survey and write a review. You can see our actual customer reviews by clicking the link here.